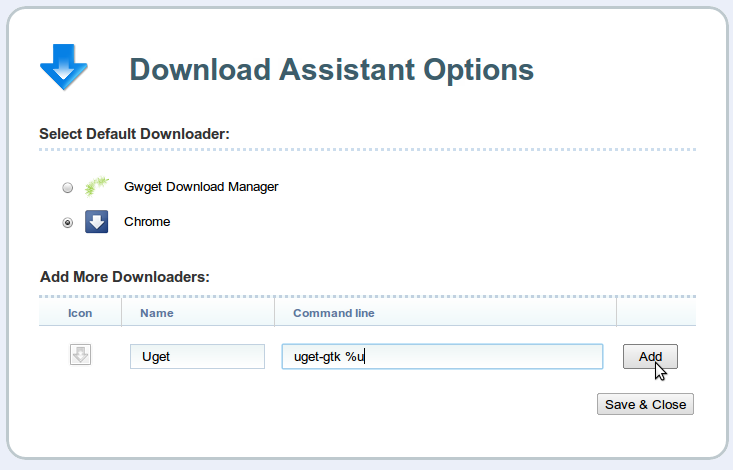 Download Assistant Extension for Chrome/Chromium finally brings much requested feature for Linux - download manager support. The extension until now supported only Windows but a new update yesterday has brought in Linux support too. I installed this extension right away because downloading large files with Chrome is *real* pain as with default download manager it was nearly impossible for me to download files larger than 50MB. 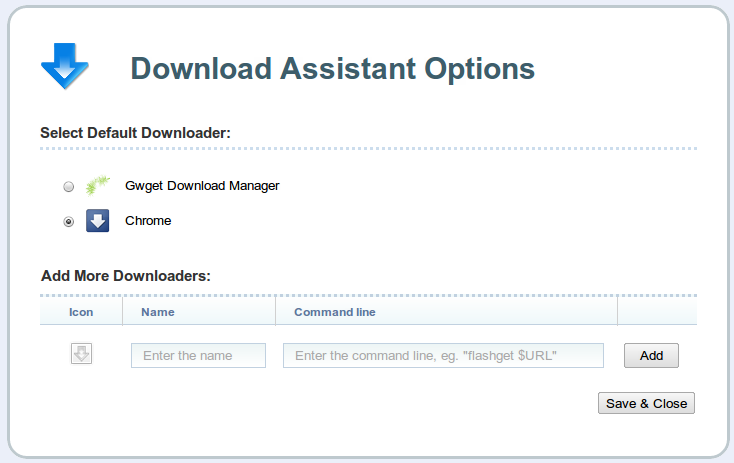 Download Assistant, earlier known as Download Helper, is official Google extension for Chrome and you can find it under sidebar category 'by Google' in Chrome Web Store. 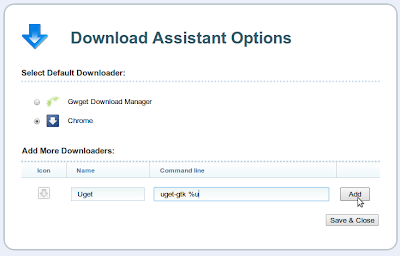 Go to Extensions from Wrench Menu and click on Download Assistant Options. 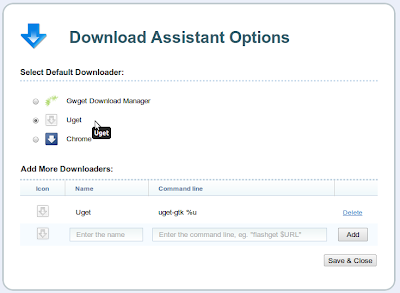 For other download managers like Uget and Fatrat, you just need to enter name and command for the application. 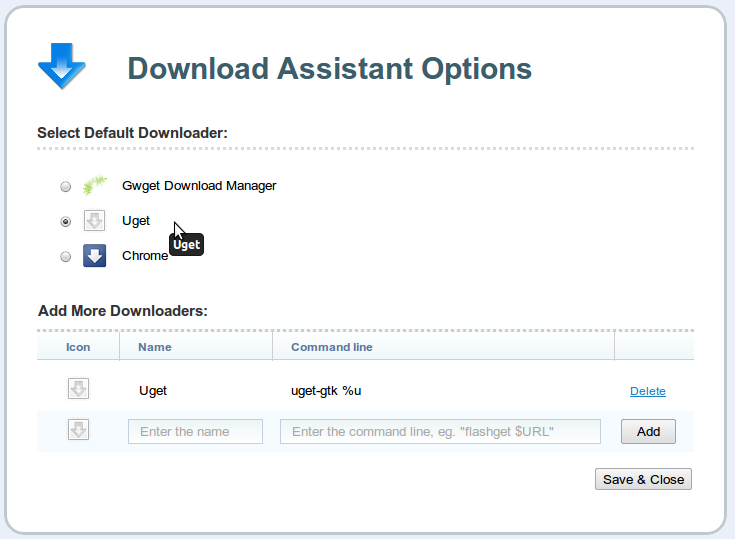 For instance enter the following command for uget: uget-gtk %u as shown in the screenshot below. You can do the same for any download manager you have installed on your system. Thats it. Right click any download link to start downloading in your favorite download manager.